I am pretty sure that you were like me before, searching, finding ways on how you can make extra income. And YES. There are a pretty number of ways you can earn extra income and here I will be sharing the links, tried and tested myself. You can choose from different ways such as working in an online working platform as establishing yourself being a FREELANCER, joining affiliate programs by promoting and working as an AFFILIATE, and by answering SURVEYS and earning rewards. And these are my TOP 3 ways on how I get to earn extra income online. Again, proven and tested by myself as I am also earning quite an income from them. You can work as FREELANCER. Start by joining these top 2 online working platforms for me; UPWORK and Fiverr. These online platforms generally are FREE to join. There are other platforms but they ask for memberships and I think that is just unfair because while you are earning expect that part of your earnings will be deducted from their service charge fees. 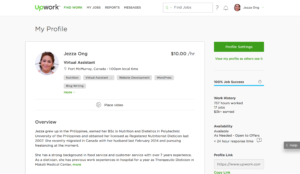 In case of Upwork, they are charging a 20% service fee in every contract and earnings you got. So, you just have to create your profile as a freelancer and offer your services. If you can write well, you can offer blog writing. If you are social media fanatic and uses internet for long hours in a day, you can apply being a search engine evaluator. It really depends on what you can do. And at the beginning, you have to work hard. Hard enough until you establish yourself as the one you are trying to promote. For example, if you offer Virtual Assistant or Personal Assistant, you have to be knowledgeable in MS Office, research and other tasks that your client may give you. Check out my Upwork Review here to find out more. Fiverr is an online marketplace. You can sell absolutely anything from there, your services, your baked goods, or other extra cash jobs like accepting lawn mowing or dump run and you can even see odd jobs being offered from there. One thing though, because it is an online marketplace, competition is too tight and other sellers offered a wide range of services so it is really up to you how you will be offering your gig. 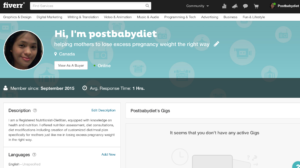 By the way, they call it gig here, that simply means a “job” or a “task.” I have an account with them and since I am a nutritionist, I made out a profile on making diet plans for post-partum good for 3 days offered for only $5. You can earn by promoting products or program. That is what affiliate is all about. Simple as that. Here are my top recommended affiliate programs I joined in and I earned extra cash for a while now through referral. The largest online marketplace is none other than AMAZON. 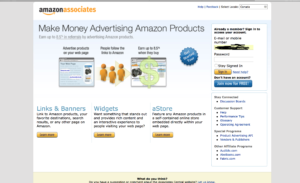 You can join as an associate or affiliate and will get a referral link. Once a customer purchase you get to earn a commission from Amazon. Do you need a website? Having your own website will definitely be an advantage but there are other ways you can promote through social media channels such as Facebook, Twitter, Instagram, etc. During your spare time, you get to watch videos and surf the internet right? Why not devote at least some of your time in answering surveys, watching a 5-minute video, or even do your shopping online from Swagbucks. 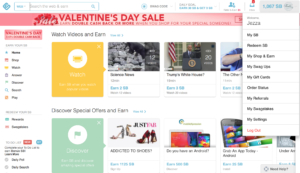 It is a website where you can earn rewards by doing activities you normally do, such as shopping, searching the web, watching videos, playing games, printing coupons, and taking surveys. Every time you complete one of these activities, you can earn points called SB’s. You can earn cash backs and redeem rewards. I just got a $10 PayPal gift card for 1,000 SB’s. Besides, it is totally fun. They also have a refer-and-earn program for $5. If you also get to refer your friends to Swagbucks, you will get 10% of their earnings for life! That means if your friend earns 500 SB, you’ll get 50 SB. Check out here. I highly recommend joining Truly Rich Club (TRC) wherein you can get to be an affiliate learning how to invest in stock market wisely guided by the club’s teaching and stock market investing principles. Check out my Truly Rich Club Review here to find out more. There are a lot of online survey panel but the only one I always get surveys and paid for is the SurveyLion Paid Survey Panel. 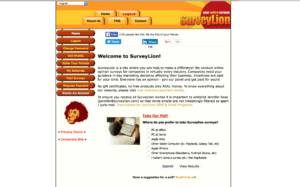 My TOP Recommendation is SurveyLion. This company conducts opinion surveys for big companies. That explains they always have available surveys based on your profile. Click here to sign-up! There you have it, folks. Please bear in mind that these are just tips and will not bring you instant money or cash and will not ABSOLUTELY REPLACE YOUR MONTHLY HOUSEHOLD INCOME. 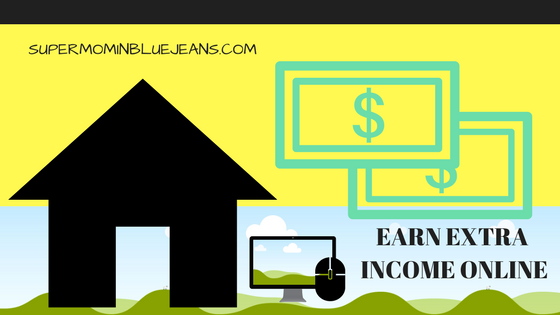 These are just good ways on how to earn extra income from online. Feel free to message me if you want to know more or drop a comment below.